Before I was a mom, I used to spend all my free time and money on scrapbook supplies. Back then I would buy all the embellishments and matching paper just for one page. Then spend hours creating it and matching just the right colors. I just don’t have the time for that anymore, but my love for scrapbooking has not changed. I want to create these beautiful scrapbooks for my children to have of our cherished memories. Close to My Heart Scrapbooking Workshops Your Way our perfect for busy moms. 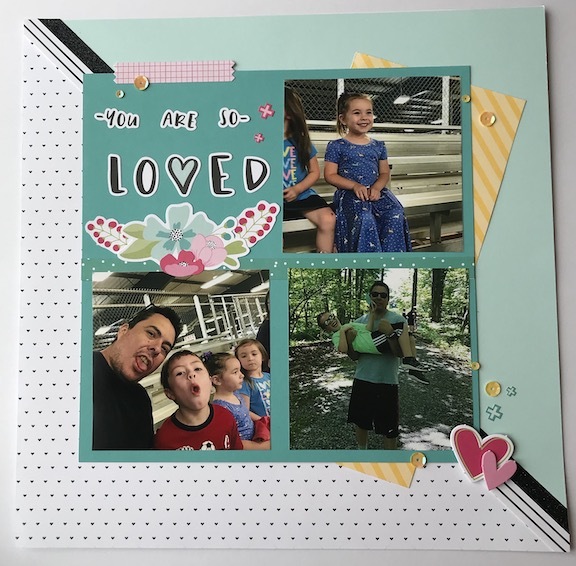 Follow the instructions and create these easy scrapbook layouts that look amazing! 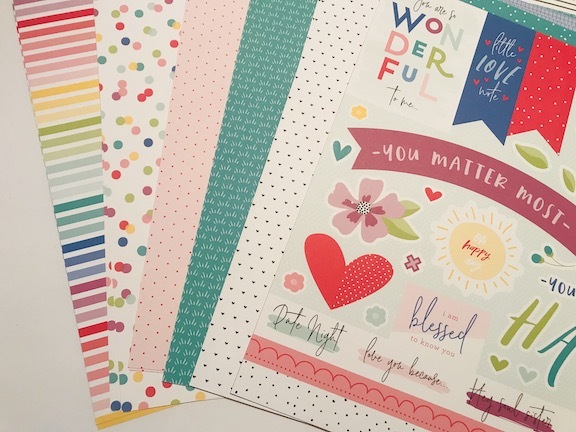 I’m so excited to share that I had the opportunity to work with a Close to My Heart consultant and was given the I Heart Us Scrapbooking Workshop Your Way to use for this post. All thoughts and opinions are my own. Seriously this is how I roll now. Everything is included (to be creative) just add glue. 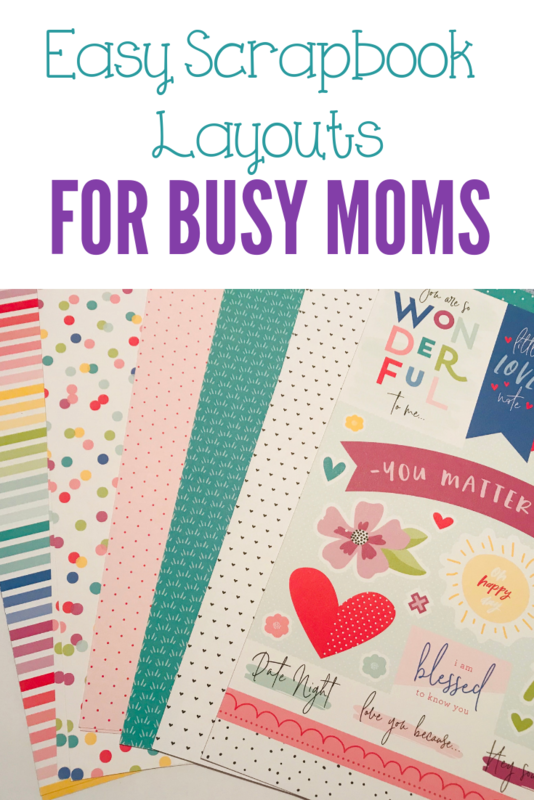 I feel like scrapbooking has taken a backseat to life and when I do have the time I feel like I get stuck in a rut. What I mean by that is I start creating pages that all look alike because I don’t have the needed time to plan, prepare, shop and create. That’s why the kits are perfect for busy moms. The kit also made me scrap in a different direction, for summer memories I have a tendency to do fun in the sun and those typical summer titles. This kit helped me finish my “Summer Memories” in a breeze because family is all about love! Does your family like to take silly pictures? Mine does! 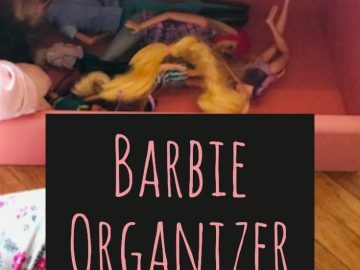 It gives you all the paper, embellishments, and instructions. The shimmer tape is awesome and I’m so in love with it! 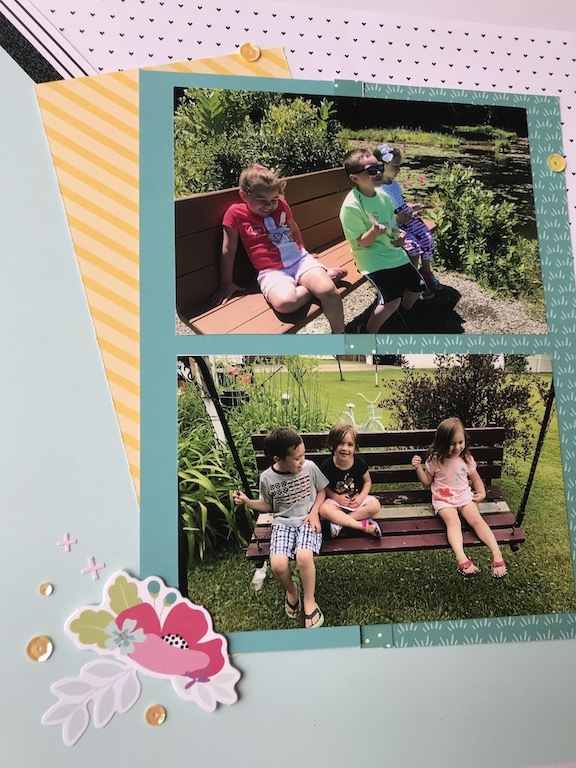 Creating those Pinterest worthy scrapbook layouts is now a piece of cake with Close to My Heart . I was in my happy place as I made these because I was so happy with the outcome and felt like I was really scrapbooking again. Remember that busy mom thing- well I did this kit in two pieces. The first time I cut the pieces and did all the pictures and embellishments. Then the second piece was journalling and adding a few more embellishments to finish the pages. Follow the instructions, cut all your paper and start scrapping. Are you smiling and feeling excited? I am and you should be too. A paper trimmer, scissors, and a ruler are all you need to get started. Aren’t those cards adorable? That’s a great way to use the extra paper and embellishments. Do you think this kit is for you? I promise it will be wonderful and easy to create those scrapbook pages you dream about. I will be ordering some more soon to finish up my pictures.